The old Moto G (2013) is back on Flipkart and those who are looking for a nice phone at a low price tag, this could be your best option. Just a few weeks ago the Moto G 2nd Gen replaced its ancestor, 1st Gen and it was moved out of Flipkart along with the Moto X 2nd Gen, which also replaced the 1st Gen Moto X. But now, the old Moto G is back on Flipkart with huge price-cuts. Now, the phone costs Rs. 8,999 (8 GB variant), while the 16 GB variant costs Rs. 9,999. Both the 8 GB and 16 Gb variants were launched in India in February via Flipkart and the 8GB variant was priced at Rs. 12,499, while the 16GB variant was priced at Rs. 13,999. 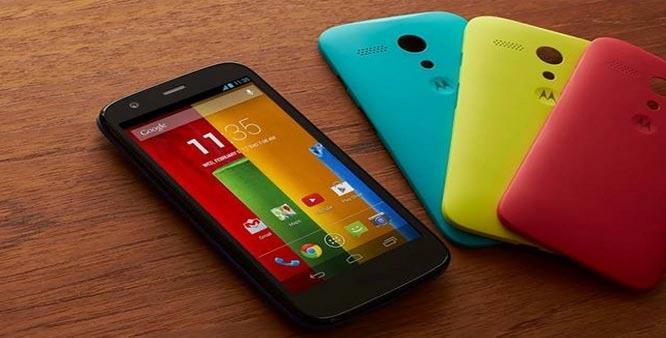 But in July, prior to the launch of the 2nd Gen Moto G handsets, the 8GB variant’s price was slashed to Rs. 10,499, while the 16GB model’s price was dropped to Rs. 11,999. Moto X 1st Gen also got Rs. 6000 off, and now currently being sold for Rs. 17,999 on Flipkart. Both the 1st Gen and 2nd Gen Moto G have some similarities, but Moto G 2nd Gen is far ahead if we take into account the specs and features. Here’s a quick comparison. So, the Moto G 2nd Gen is clearly ahead of its ancestor. But if you also look into the prices the old Moto G much cheaper than the 2nd Gen Moto G. So, if you are now looking for a budget smartphone which is also smaller in size and fits into your pocket easily, you can go for the 1st Gen Moto G easily, which is priced at Rs. 8,999 and Rs. 9,999 respectively for 8GB and 16 Gb variants respectively.